The Yangtze River Delta is home to China’s largest city, Shanghai. As one of the world’s biggest and busiest metropoles, Shanghai has become renowned for its blend of cultural wonders, financial clout, and historic significance. Millions of tourists arrive each year at Shanghai’s two major international airports, Pudong and Hongqiao. With so many people looking to make their way in and out of Shanghai, what is the best Shanghai airport transfer route you can choose? Shanghai’s Maglev bullet train is the common choice for a Shanghai airport transfer if you’re landing in Pudong. The state of the art train is well known across the world, thanks mainly to its breathtaking speed and pioneering technology. Passengers onboard, speed into Shanghai CBD at a remarkable 430 kph (270 mph). Once inside the city, the vast network of underground metros that sprawl across the city is available to travelers. 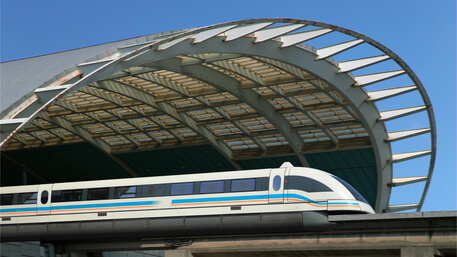 The Maglev train runs regularly, with the train’s journey from the airport directly to Shanghai last 8 minutes, but the distance is relatively short. You can get tickets from the train terminal before boarding. Generally, a single, one-way ticket will cost you 50 Yuan, with travelers who have arrived on a flight on the same day eligible for a 20% discount. The train isn’t a viable option for every traveler, however. The Maglev arrives in what some consider to be the middle of nowhere in Pudong. Arriving at the Long Yang Road station in Pudong might not be convenient for someone whose hotel or office is in Shanghai central. You’ll also have to factor in the extra cost of taking a taxi or the metro to your destination, which is obviously not included in your train ticket and can become slightly expensive. In terms of time, it would still take at least 1 hour or 1 h 30 mins to reach Shanghai downtown. Despite being popular during the day, the Maglev service does not run for 24 hours, shutting down at 9:30 PM every day. If your flight arrives slightly later in the evening, you’ll likely have to arrange a car service or attempt to find a taxi to your destination. Hongqiao airport may not have a state of the art bullet train to offer, but there are two subway lines which run directly into the city. With the terminal located in the basement of the main terminal hall at Hongqiao airport. Whilst the metro network does have both English and Mandarin signage to guide you along your way, the routes are confusing even for local travelers fluent in Mandarin. If you’re not accustomed to the buzz and chaos a public metro at peak hour brings, you may find yourself lost and confused rather easily. Should you be able to navigate the network without hassle though, you’ll find the metro routes are vast and can get you close to any of your desired locations. A private airport transfer is the safest, quickest way to get from Shanghai airport to downtown. China Car Service is a trusted transportation service helping foreign business travelers for almost two decades. We provide door-to-door service at competitive prices. Make your journey stress-free and contact our 24/7 team at Bookings@ChinaCarService.com with questions, or get a quote below. 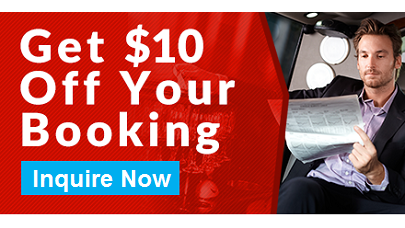 Use this promo code: 10CARBLOG to get a $10 discount on your 1st service. Both Pudong and Hongqiao airports offer bus terminals as an option for a Shanghai airport transfer. Bus routes are not necessarily the popular choice amongst locals or seasoned Shanghai travelers, who prefer the speed of the Maglev train or reliability and convenience of a professional car service. Both airports have regular bus shuttles running into the city center, stopping near most major hotel districts and popular public locations. Bus tickets into town may be the cheapest option, with tickets costing as little as CNY1 per mile, or CNY2 per mile for an aircon fitted bus.For those landing in Shanghai but planning on heading to neighboring cities like Hangzhou, Suzhou, and Yiwu, the train might be an obvious choice for those looking to save time on their journey, but there are also 3 long distance bus terminals to choose from. 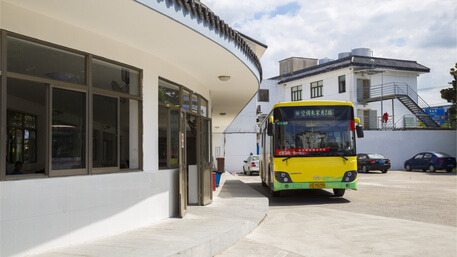 Although the bus schedules are freely available at every station and within the airport itself, they will appear confusing unless you’re familiar with Mandarin or you’ve memorized your route in Chinese. Traveling via bus will require patience. As with every major city, Shanghai is prone to horrendous traffic, allowing yourself extra travel time to get to your destination is highly recommended. First-time travelers are often tempted to use a taxi when arriving in China, just as they would in many other countries across the world. However, taxis in China are not as simple as it may seem. It’s not uncommon for passengers to wait as long as 45 minutes to catch a ride from the airport. Drivers can also be known to adopt a dismissive attitude to foreign travelers, deciding not to bother with someone unlikely to be able to communicate with them. The more seasoned traveler often decides that a professional and convenient car service is the best way to travel. Especially if you’re traveling in a larger group or happen to be carrying a lot of luggage. The convenience of a dedicated driver who speaks English has a detailed understanding of your route and provides a comfortable, relaxing ride is worth its weight in gold to many frequent travelers. Shanghai is an exciting and captivating city, and also a crucial destination for many business travelers to China. As with all of China’s major cities though, navigating its transport networks can be challenging. Having spent hours inside an aircraft traveling halfway across the world, the last thing most travelers wish to do is deal with the hassle of having to arrange an airport transfer in a city they’re not familiar with. 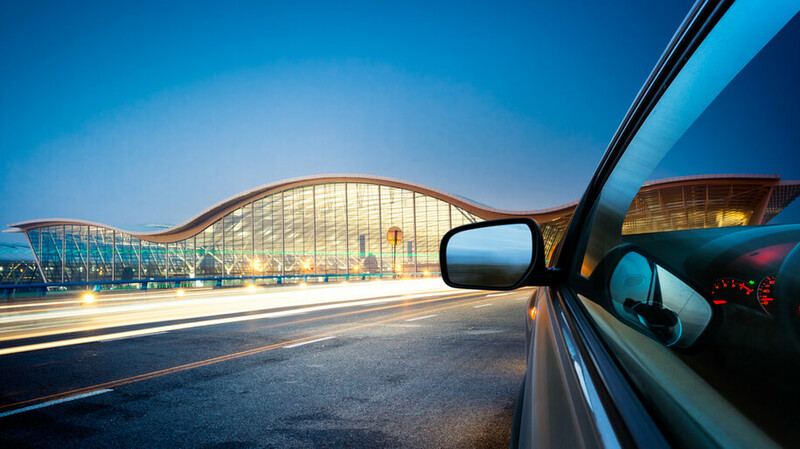 A professional car service is often the preferred option for a Shanghai airport transfer for those who do so regularly. With the excitement of the bullet train wearing off once you’re faced with the daunting underground metro systems, or the prospect of standing in long queues hoping to find a taxi, it’s certainly easy to see why. If you’re looking for an airport transfer service in other China like Beijing, check the link on best ways to get from Beijing International airport to downtown. Shanghai offers a world of opportunity to business travelers and holidaymakers alike. If you’re planning a trip to China’s largest city soon, take advantage of our online discount and book your Shanghai airport transfer now! If you find this blog useful, please feel free to share it! China Car Service is a full service ground transportation provider that offers you complete comfort, control and convenience during your visit to China! Copyright © 2001 - 2018 China Car Service, All Rights Reserved. Looking for simple and easy transportation – private car or van for a small group – while in China? Our English speaking drivers and support desks are available 24/7 to ensure a safe and comfortable journey. We’re here to help you with efficient, complete and competitively priced transport solutions during your trip. Leave us your enquiry and we’ll be in touch shortly!